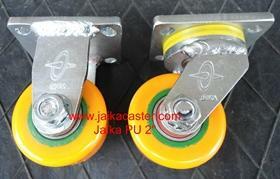 Jaika urethane, nylon, iron, heavy duty caster wheel 999 series (Size, Loading kg.) 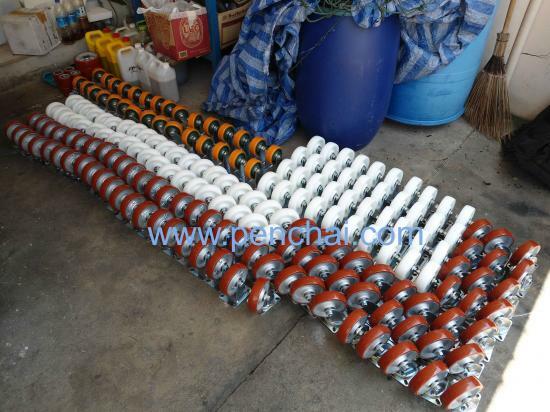 Size 4"/500, 5"/550, 6"/600, 8"/800, 10"
Office hour Mon. - Fri. 8.00AM - 17.00PM. 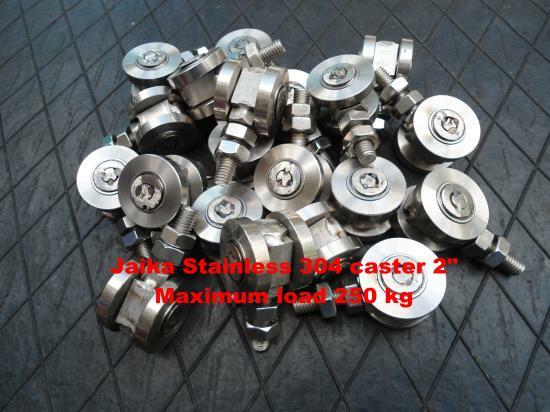 Jaika shock absorber and silence cas..
Jaika threaded stem urethane caster ..
Jaika pneumatic caster wheel (ล้อไจก..
Jaika urethane caster wheels with Ch..
How Jaika medium & heavy duty caster wheels difference from others?